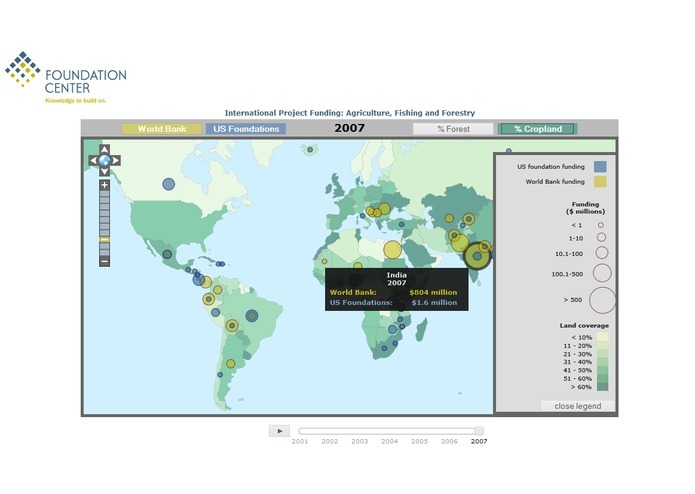 A web mapping application that shows funding for Agriculture, Fishing, and Forestry projects from the World Bank and US foundations, as well as the percentage of land cover in each country that is occupied by forests or cropland. 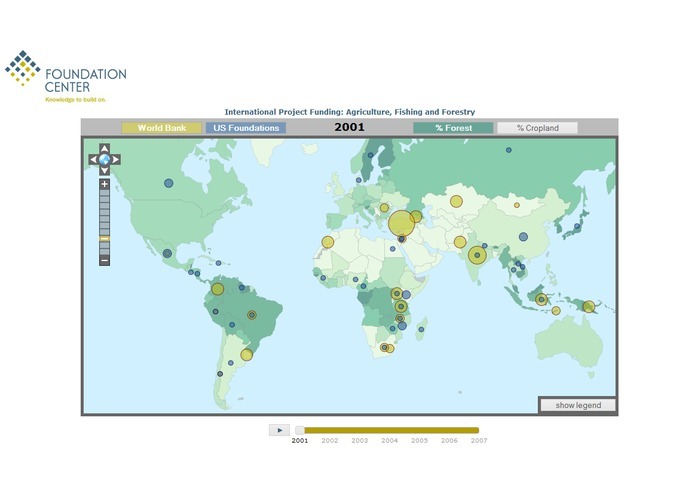 Push the "play" button to see the changes in funding and land cover from 2001 to 2007. 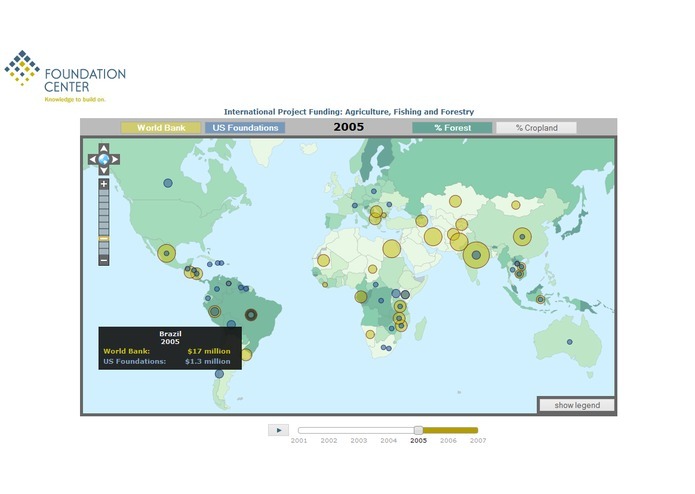 Hover over countries and funding bubbles to view specifics for each region. You may also turn off or toggle the layers by pushing the buttons at the top of the map. The Millennium Development Goals for Environmental Sustainability were used as a prism through which to compare the major World Bank loan sectors with the Foundation Center’s data collection of international grants from US-based foundations.